Sir Hummus has a lunch vibe to it, which I guess is unsurprising since hummus makes a perfect midday meal. As I said, it was a while ago that I went here, but I do remember enjoying the hummus – and especially loving the little bottle of spikey, punchy, garlicky green sauce that comes with it. I don’t think there was a lot of choice in terms of hummus accompaniments (I think I recall the egg pictured below being one of only two options) and nor could you really buy much other than hummus. But hey, when the chickpeas are this good, who needs anything else? 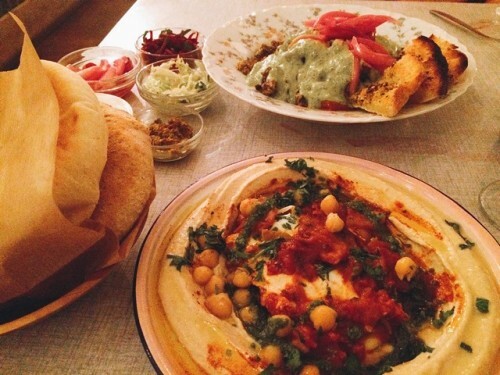 Possibly my favourite hummus spot on this list, De Hummus House absolutely blew me away. They’d invited me and a couple of other bloggers for dinner, but I kept checking the other tables to make sure their food looked the same as ours and that we weren’t getting any special service – it did and we weren’t. I promise you: it really was just that good. We tried the hummus (of course) which came with both smoky aubergine AND boiled egg (inspired). It was obviously delicious, but they also serve a bunch of other dishes that are equally moreish. We tried just-warm, meltingly soft, perfectly light, rice-stuffed vine leaves that were delicately spiced. Their tabbouleh was heavy on herbs and drizzled with tahini. 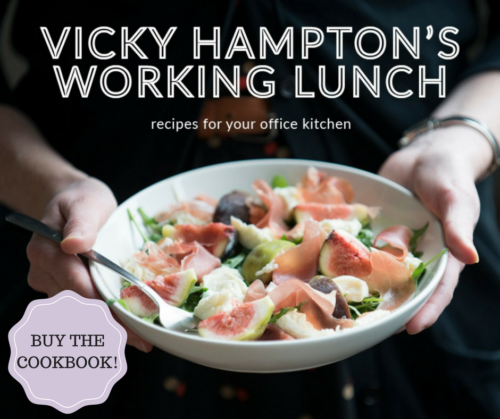 And I even loved their shakshuka – which is saying something because I make it myself at least once a month and consider myself to be something of a shaxpert. Ok, so this place is open in the evening AND serves wine (and just happens to be close to my house) so clearly this is the one I’m most likely to go back to. The hummus here is also great, and they’ve come up with the wonderful idea of putting shakshuka INSIDE their hummus. Yes, ladies and gentlemen, it’s called Hummshuka! I was a bit less impressed with the non-hummus menu items, however: the minced lamb dish we had (which I believe was called siniya) was swimming in far too much animal fat, although I enjoyed the picked onion and green sauce on top for cutting through the richness to some extent. However, the service was friendly, the prices reasonable, and the wine flowing. I had a great evening with wonderful hummus, despite these small kitchen niggles. Plus: Hummshuka is an actual thing! The good people behind Hummus Bistro deserve another mention here, as they recently opened a second location in Oost – at the end of the Czar Peterstraat. I was invited to go and check out their wares, and this time I was doing Vegetarian January so I didn’t try any of their meat dishes. What I did try, however, was their hummus (obviously – and it was still great) as well as their shakshuka, stuffed aubergine, and a plethora of little side dishes that were either spicy or pickled or both. A great addition to their d&a’s new neighbourhood. 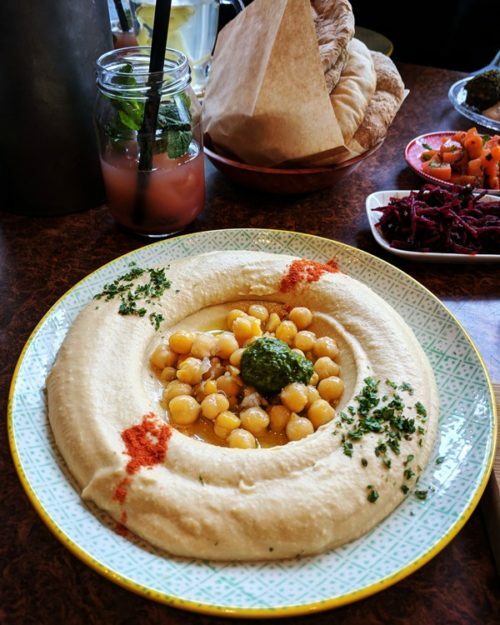 Hummus Bistro d&a – Amsterdam Oost: The hummus pic that got me possibly the most Instagram likes ever?! 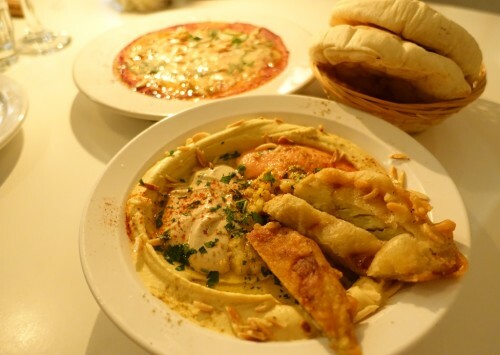 Plus: Hummus Bistro d&a is now available on both sides of town! 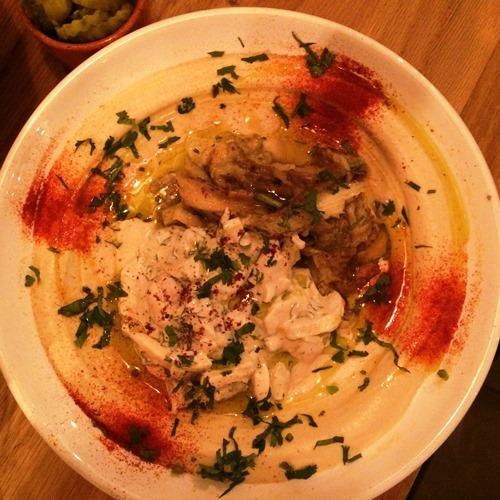 Hummus is just one of many dishes on offer at Mana Mana, but it’s one they do very well. 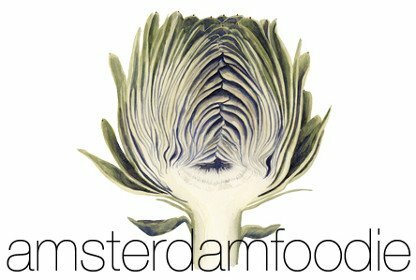 It’s a cosy, split-level, open-kitchen restaurant in de Pijp, with a very Amsterdam-gezellig feel to it. Our hummus came with battered aubergine (which was honestly a bit too fatty and fried for me) and various sauces in the middle. We tried another cauliflower dish with tahini and grapefruit which was very good (although also on the greasy side) and a minced lamb “burger” (my description: it was burger-shaped and came on a bun but the meat was far more loosely packed than a burger). Also interesting was the sweet potato “carpaccio” (this time, their description!) which was cooked and topped with melted cheese, pine nuts and herbs. It was very tasty, but there was nothing particularly carpaccio-like about it; the sweet potatoes may once have been finely sliced, but by the time we got to eat them it was more like a thin layer of mash. Have I missed somewhere? 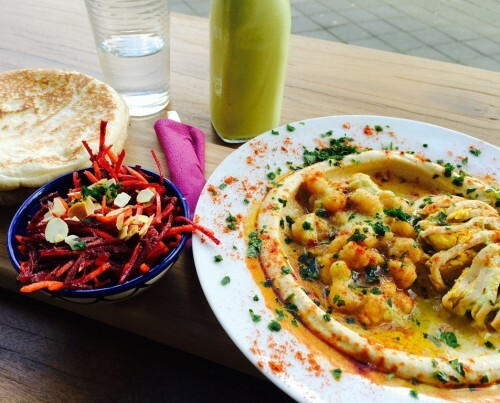 Which is your favourite place to eat hummus in Amsterdam? Editor’s note: This post was originally written in March 2016 but was updated in January 2018 to reflect new openings.